For Current Class Schedules please visit our REIKI CLASS Page. Lightarian Reiki Master Teacher/Practitioner Training is offered to Usui and Kundalini® or Karuna-based Reiki Masters (the Buddhic Boost may be used to bridge the gap between Usui and Kundalini® or Karuna systems if the student does not wish to receive Kundalini® or Karuna training). Through a series of four levels, you will raise your personal vibration, while dramatically expanding your capability for delivering these higher and finer healing energies. The emphasis in Lightarian Reiki is on simplicity. No symbols are required. Each of the four levels has its own training/attunement/certification process. Lightarian Reiki has been brought forth from Ascended Master Buddha at this time to awaken humanity to six higher levels of universal energy that have long been unavailable to us. Jeannine Marie Jelm was the developer of Lightarian Reiki in mid 1997 in conjunction with the energies of Ascended Master Buddha*. In collaboration with Christopher Jelm, the information being brought forth about Lightarian Reiki was refined and clarified. In addition to Jeannine channeling her own Higher Self energies, the twelve Ascended Masters and other celestials, the Ascended Master Buddha "stepped forward" in a more direct way and Jeannine became directly initiated into the higher levels of Reiki, which we are calling Lightarian Reiki. Ascended Master Buddha communicated to Jeannine that he wanted to bring forth new information, de-mystify and expand the concepts of Reiki. In mid 1997, over a period of several channeling sessions, the Ascended Master Buddha described the broader, long-forgotten aspects of the energies. His purpose in awakening us now is to assist humanity in transitioning to the higher vibratory rate that our Earth is entering into. He advised Jeannine to begin to consciously use all eight Reiki bands and to share them via the ancient practice of teaching and offering attunements to advance the spiritual development of others. Usui-based Reiki These vibrational frequencies create the foundation . After one is attuned to the Usui levels and works with those energies for awhile, an individual may feel compelled to move beyond this introductory stage, to accelerate his/her pace of spiritual growth and the raising of his/her personal vibration. Kundalini® & Karuna Reiki As the individual feels motivated to continue to expand within Reiki, one can enter the Second band of the spectrum occupied by Kundalini® & Karuna Reiki & the Buddhic Boost (details below). The emphasis in the Lightarian Reiki system is on energetic purity, simplicity, ease of delivering the healing energies during a treatment and the creation of dramatic healing results. Regarding simplicity, the healing work and the training/attunement process for Lightarian Reiki are very direct and very simple. Based on Ascended Master Buddha's desire, no symbols are required for Lightarian Reiki. An important aspect of this work is the use of clear intentions when delivering the Lightarian Reiki healing energies to clients and while passing on attunements to students. The emphasis in Lightarian Reiki is on utilizing the power of intention and one's own inner power. As you receive your Lightarian Reiki attunements, various levels of personal healing will be stimulated and the vibration levels of your chakras and subtle bodies will be raised. Various latent "spiritual gifts & talents" may start to manifest and your "sense of self" may expand based on the energetic transformations launched by the Lightarian Reiki attunements. Immediately following your attunement and certification at a particular level of Lightarian Reiki, you are energetically prepared to deliver healing sessions to your own clients and train your own students at that level. How Effective are Remote Lightarian Attunements? When given remotely, Lightarian Reiki attunements are simply an extension of the principle of working energetically with Reiki at a distance. There are no limitations in transcending time and space except the ones that we humans create in our own minds. When following a few simple procedures and techniques taught in Lightarian Reiki attunements given remotely can be just as powerful and effective as in-person ones. There are many practitioners who work remotely with people around the world, not being limited by time and space. They know they can positively affect a person's etheric and physical bodies and mind through the power of focused intention and thought. 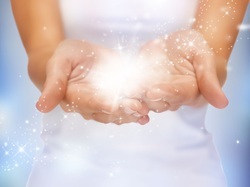 How will the Lightarian™ Reiki Attunement impact on my work with Clients? As you start to deliver these higher vibrational energies as a Practitioner, you will find many powerful changes affecting your clients on all levels of their Being – spiritually, mentally, emotionally, and physically. Once you are attuned to Lightarian™ Reiki, you now afford your clients the benefit of the more expansive Lightarian™ Reiki energy levels – if they are ready to take them in. In a sense, by being the conduit for higher energies for healing, you are creating an enhanced healing opportunity for the client and taking the healing process into a new space! Because of the higher and more powerful levels of energy that you are bringing in, people may start to react in more dramatic ways. Your energy sessions may initiate a powerful detoxing or spiritual processing for your clients that they may not have experienced before. What might I notice when working with this energy? As you raise your energy vibration and work higher energies into your daily life, the layerings that exist between you and Source will be reduced! In other words, you become more aligned with your Higher Self energies. You’ll begin to manifest them through your physical body more readily and begin to more clearly step into your future role as an advanced healer and into your ascended state of greater service. What level of energies (whether Usui-based, Kundalini®, Karuna or Lightarian™ Reiki) should I deliver in order to best serve the clients needs? You will not have to focus on bringing in any particular Reiki level. While channeling Lightarian Reiki during healing sessions, the highest vibrational Reiki energies will automatically flow through you, based upon the receptivity of the client. The client’s Higher Self will only take in the vibrational level that is most appropriate for the individual and which serves the highest healing purpose during the treatment session. There are four levels within Lightarian Reiki. These levels are called Lightarian Reiki I & II, III, IV and V & VI. A comprehensive training manual is provided for Level I & II and supplemental manuals are provided for the advanced levels. The three advanced levels are about progressively "stepping up" your energies, connecting you into higher aspects of the Buddhic energies. No formal training is required for these levels. During the advanced levels, an introduction and permanent connection is made with a different supportive energy to assist in creating an expansion of the healing work and to enhance the healing process. Lightarian Reiki III~ you are "introduced" to Gaia, the Earth Mother, whose energies will be available as a "healing platform" for your personal healing process and your healing with clients. 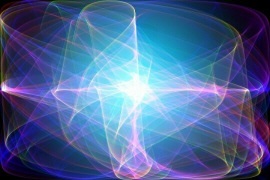 Lightarian Reiki Level IV~ you receive the loving and powerful overlighting "umbrella-like" effects of special healing energies of the Godhead. Lightarian Reiki V & VI ~another supportive healing energy is introduced, that of Ascended Master Sananda. He joins with Ascended Master Buddha, Gaia and the Godhead to create what we call the Divine Healing Chamber. This unique and powerful healing tool, the Divine Healing Chamber, is then available to you for your work with clients as well as for yourself. All levels will receive a attunement allowing you to teach and treat with the level taken. You must first receive the Buddhic Boost attunement before proceeding ,unless you are a Kundalini® or Karuna Master. The Boost is a simple attunement received remotely without any training or manual involved and is designed to prepare you vibrationally for receiving the Lightarian I & II Attunement. Note: The Buddhic Boost attunement is only given to those who are also committed to taking Lightarian Reiki I & II. Therefore, along with the Buddhic Boost fee, prepayment for Lightarian Reiki I & II would be required at the same time.